When it comes to relocating, you need a Moving Company in San Francisco that can handle your move with expert precision and care. 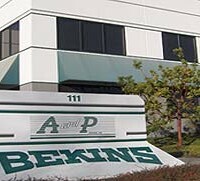 If you’re moving in the San Francisco Bay area, Bekins is a great choice to move you and your family. We have the experience, the resources, and the right team to make sure your move is worry-free. Want more information about moving in the San Francisco Bay area? Bekins makes moving easy. With over 125 years of experience, Bekins is the most trusted name in the business. Whether you are moving to or from Northern California, Bekins Van Lines will ensure a successful, hassle-free move for you and your family. 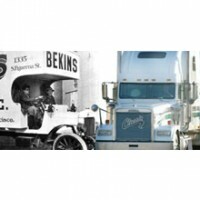 Bekins has been moving families across the nation for 125 years. Along the way, we’ve learned what it takes to make your move a great one. Let us show you why we have the reputation for being one of the most thorough, reliable movers in the business. Since 1990, A and P Moving has provided local, long distance, and international moving services throughout the Marin and San Francisco Bay area. A and P Moving is family owned and operated, that performs high quality services you can trust. AMS Relocation is a family-owned and operated moving company that provides services to the Bay area. For the last 65 years, AMS Relocation has provided professional moving services that have led to an A+ rated with the Better Business Bureau. Mid Cal Moving & Storage Company in Modesto and Stockton have an A+ rating with the BBB. For decades, families and businesses have trusted Mid Cal Moving & Storage with all of their relocation needs. Morgan Hill Moving & Storage is one of the best moving companies in the Morgan Hill area. 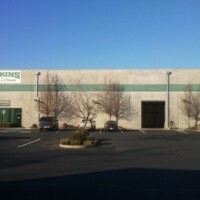 With four locations in California, Pacific Storage Company has been a Bekins’ moving agent since 1932. Pacific Storage Company has an extensive history with providing moving and storage services to families and businesses. Schultz Bros. Moving & Storage is proud to be the oldest Bekins’ moving agent in the country. 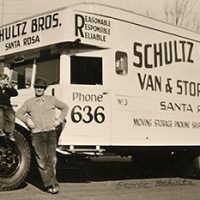 For almost a hundred years, Schultz Bros. have provided professional moving services to the greater Santa Rosa area. Tri-Valley Worldwide Moving & Storage offers a wide variety of moving services in the Livermore area that assist customers with every aspect of their move from start to finish. Moving long distance can be a daunting challenge; all of your possessions, your family, pets, and so much more must be relocated to your new home. The last thing you want to worry about when your family arrives at your new homestead is your possessions arriving safely. Bekins ensures the highest quality long distance moving service for a price tailored to fit your needs. So, whether you are moving long distance in-state or moving across the county – trust Bekins to deliver your possessions safely and on-time. After you get your ballpark estimate, it’s time to get a more accurate in-home estimate. We’re happy to send one of our expert agents to your home to give you a free, no-obligation quote.